I saw this newspaper clipping tucked in one of his books. It appears to be from the AOA News December 1969. My how things have changed in the last 40 years. 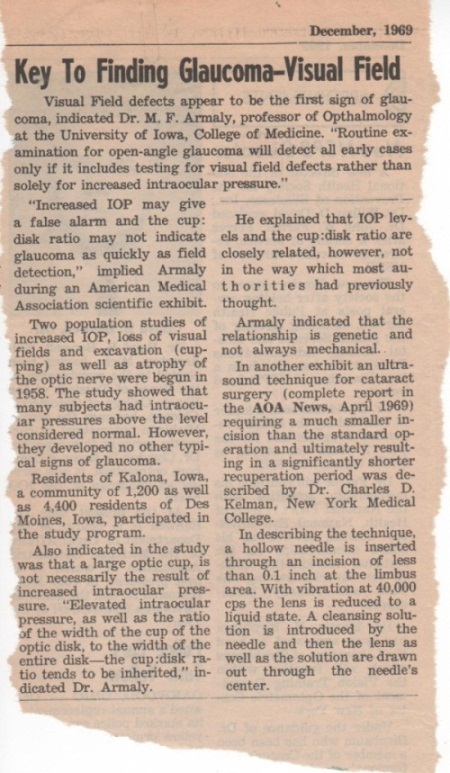 Interesting also is how phaco was a new technology.